The East Fishkill Historical Society & the East Fishkill Community Library Present a talk for Black History Month. Historian Richard Sears Walling will present his knowledge and research on the 369th Infantry Regiment, also known as the Harlem Hell-fighters. 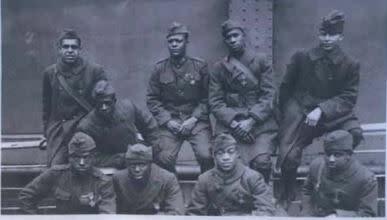 This all African-American fighting force served during World War l, and World War ll when the United States armed forces were still segregated. This talk is free and open to the public. Light refreshments will be served.